Years ago I had a serious crack at writing fiction. 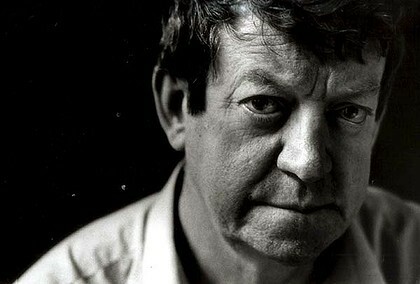 One of my teachers, the late Laurie Clancy (pictured) was an old school Australian short story writer and critic. He was possessed of a warm, serious, funny and sad narrative tone and he had a face to match. Amongst the many insights Laurie imparted, “show me, don’t tell me” has stayed with me and remains a powerful metaphor for life beyond fiction writing. To give your characters life, you must show their actions to your reader. By only telling, you omit evidence, you forfeit richness and create doubt about the believability of your characters. Each exposition and development must be illustrated, not simply told. Think Hamlet’s slide into madness, Ahab’s escalating vengeance against That Whale or Raskolnikov’s delusions of grandeur as he plots his Crimes, before Punishment. We observe those characters by their actions just as our observations of those around us powerfully inform our view of them, beyond what they merely say. Clancy’s advice is never truer than when we pursue credibility in our work. We must make action our central narrative device. Our deeds and successes must be shown, not just told. This entry was posted in communication, Effectiveness, Learning, work, writing and tagged Effectiveness, evidence, stories, writing. Bookmark the permalink. Who cares if you do nothing at work today?